If you’re a small business owner, mobile apps can streamline your financial management processes, simplify taxation, and optimize payroll. The best financial apps will also help you make smarter decisions in a quicker timeframe. Here are four apps that you need to know about in 2019. Available for iPhone and Android devices, QuickBooks has a financial management app that makes accounting a breeze. Whether you are preparing for tax day, tracking income and expenditure, or sorting out payroll, QuickBooks will help you manage your business from your smartphone or tablet. Need to track your finances on the move? QuickBooks lets you monitor customer information, taxes, and expenditure from your device wherever you are in the world. Plus, you can send professional invoices to customers and clients with a swipe of a finger. Other features include receipt capture, profit and loss reports, and balance sheet reports. The QuickBooks mobile app is free with your QuickBooks online subscription. If you don’t have a subscription, you can try out the platform for free for 30 days. Xero, one of the world’s largest accounting platforms, has a mobile app for both iOS and Android devices. Bursting with features, this app lets you send invoices to customers, create receipts, and run your business from a remote location. The Xero app also makes locating customer information easy. You can find addresses, phone numbers, and other contact details quickly and even customize your contacts. Unlike some other accounting apps, you can control who accesses financial information in your organization. This way, only approved members of your team can read your personal data. You can also track income and expenditure from the Xero app. As a result, you will be able to budget more effectively and control how much you spend in your business. >> Do You Need A Budget? With the Zoho Books accounting app, you can manage your finances from your iPhone, Android, or Windows Phone. Track mileage and expenses, monitor income, and view transactions in real time. If you want greater financial insights into your business, the Zoho Books accounting app provides you with all the information you need. Unlike some apps, Zoho Books has a simple interface that makes it easy to streamline your financial information. You can also use the app across multiple devices. If you have an account with Zoho Books, you can download their mobile app for free. When tax day is looming, you need an app that you can rely on. This is where TurboTax comes in. Now you can sort out your taxes on your smartphone or tablet without any of the fuss. With the TurboTax app, you can take a photo of your W-2 form and let the app place your information into the correct tax documents. You can also claim tax refunds, review your returns, and communicate with tax experts in your industry. There’s no need to worry about your security, either. TurboTax protects your data so you can submit your financial information securely. 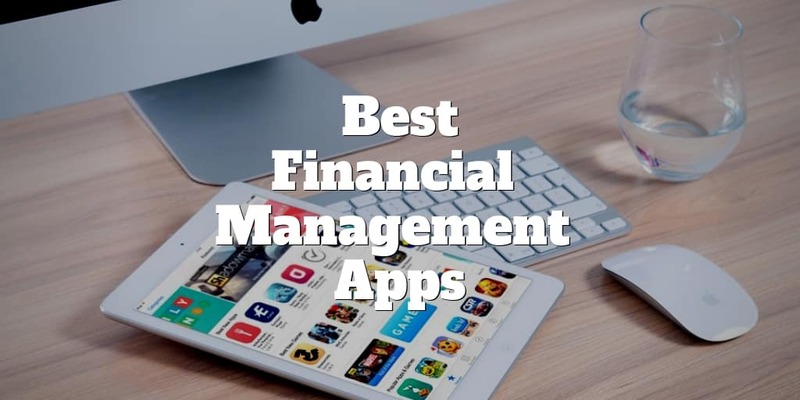 These four financial management apps for iPhone, Android, and Windows Phone will revolutionize the way you run your small business. Now, you can track income, spending, and customer information on the go and facilitate payroll and tax from your smartphone or tablet. ‹ E-Trade vs TD Ameritrade: Which Broker Is Best?